NCS completed a major TelData/Data Center installation for the Dunkin Donuts Headquarters in Canton, MA. NCS completed a TelData and Audio Visual installation for McKinsey & Company in Waltham, MA. NCS completed a corporate-wide installation of Room Managers from Evoko for New Balance Athletic Shoe at their store and manufacturing site in Lawrence, MA. 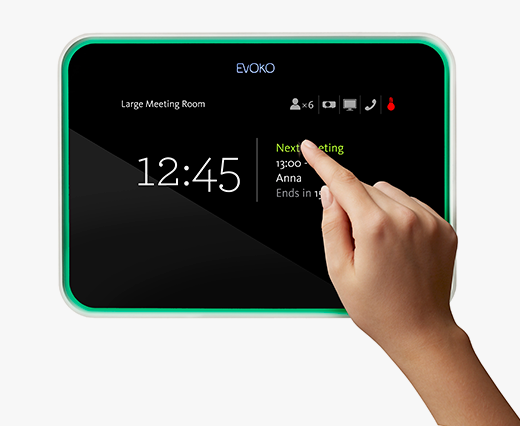 These PoE-enabled, Touch Screens allow end-users to schedule Conference Rooms for meetings. For more information, please visit Evoko. NCS completed a TelData installation in a new Lab space at Keurig Headquarters in Burlington, MA. NCS completed a TelData, Fiber, and AV install at Raytheon for their headquarters in Waltham, MA. NCS is now offering automated shades from QMotion Shades! 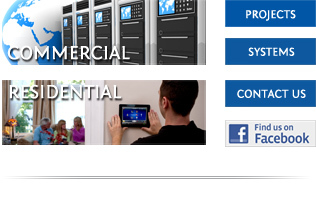 Network Cabling Services, Inc. (NCS) is a privately owned, Massachusetts based corporation that offers a broad range of Network Design, Integration, Audio Visual, Home Automation and Installation services for our Residential and Commercial clients. NCS is unique in its approach to customizing each clients Network Design, Audio Visual System or Structured Cable System. NCS listens to our customers and makes all design recommendations based on the current and future requirements. The NCS Technicians will be professional, the materials utilized will meet all industry standards and our workmanship will be of superior quality to our competitors.